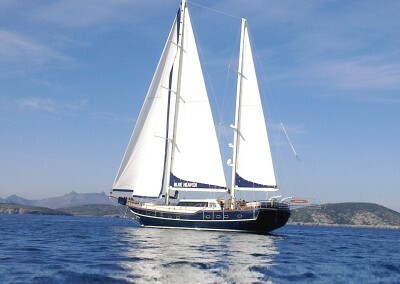 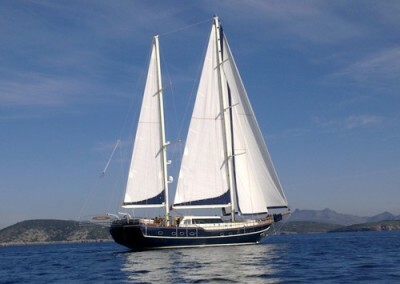 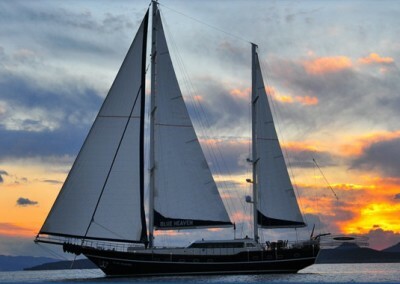 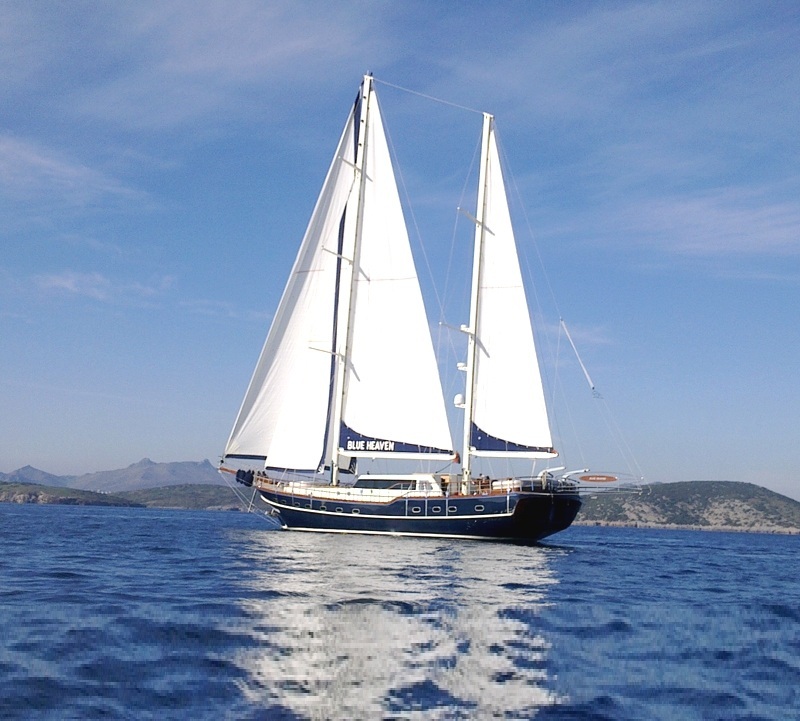 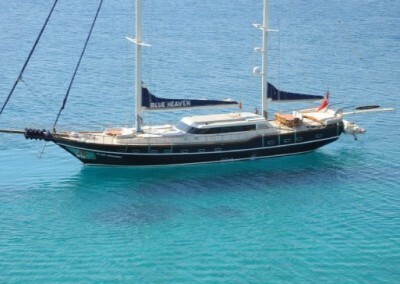 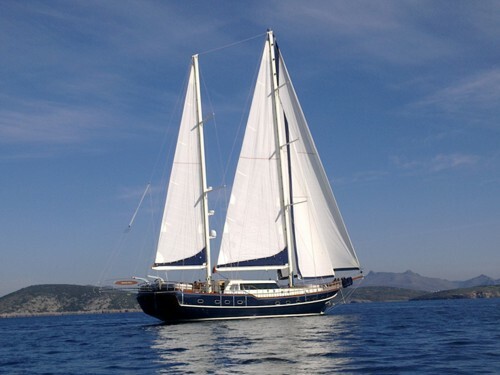 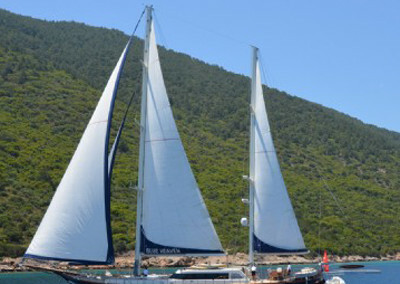 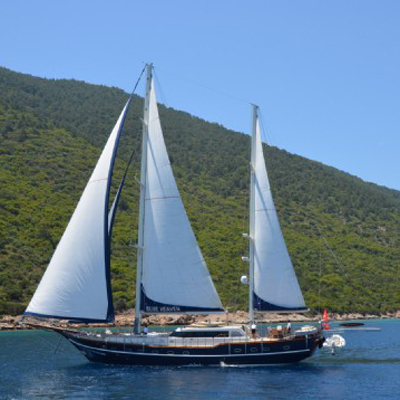 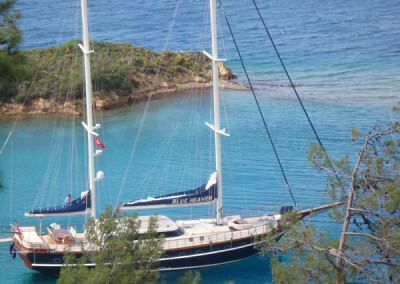 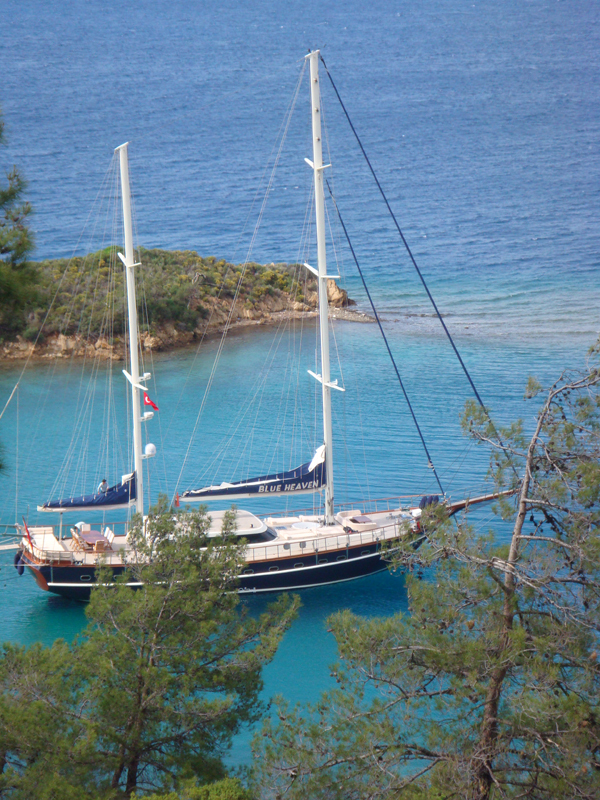 Blue Heaven Gulet is a 30.00 m. meters wooden crewed yacht which launched in 2011. 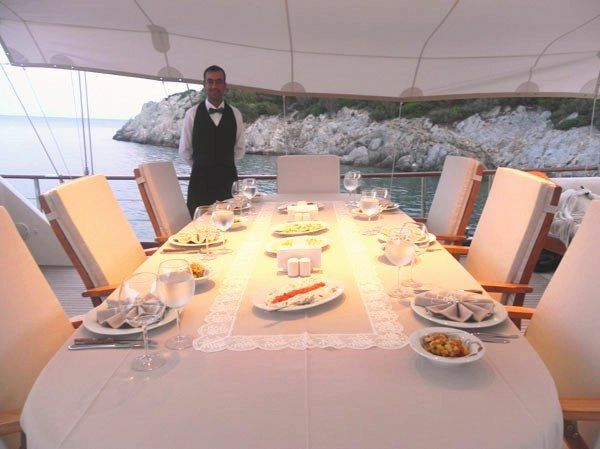 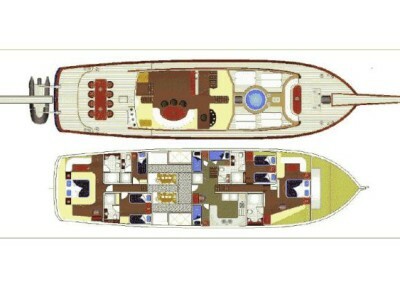 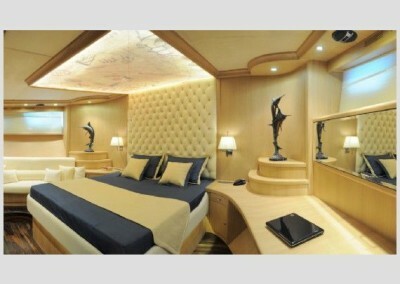 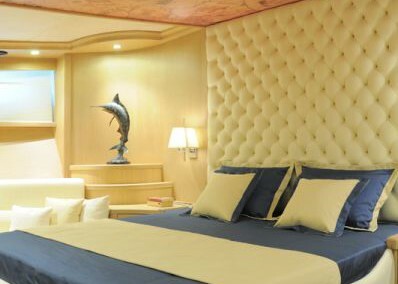 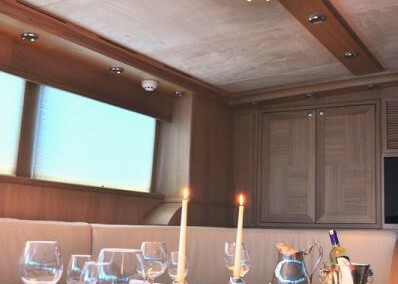 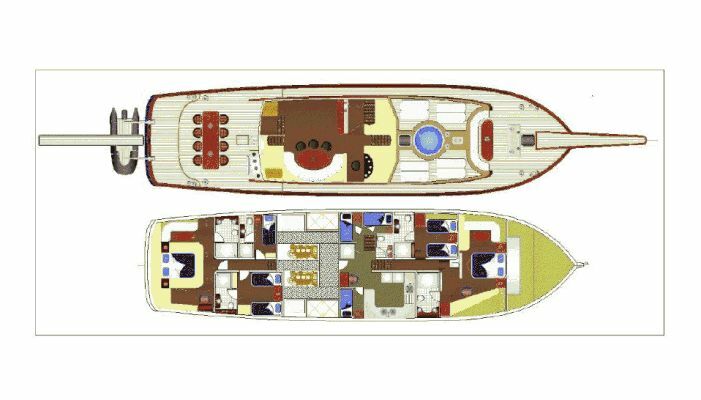 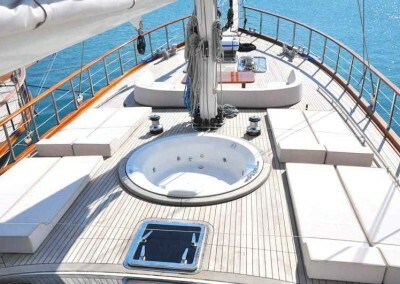 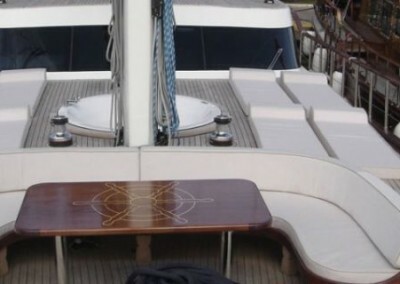 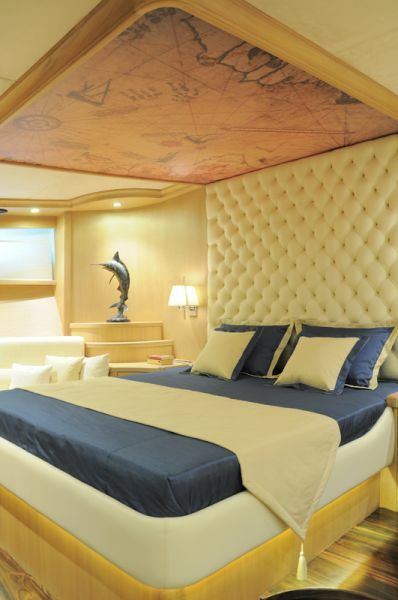 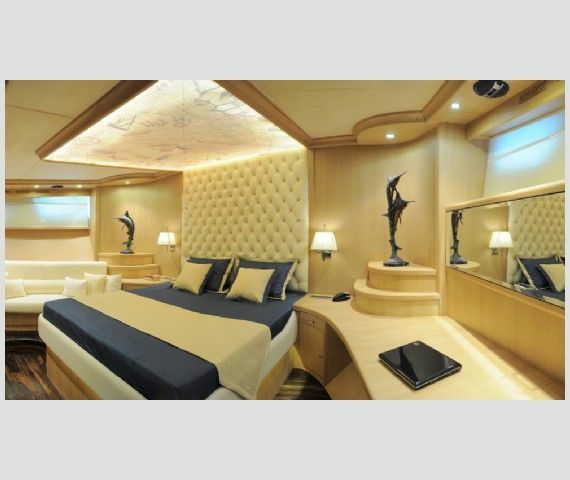 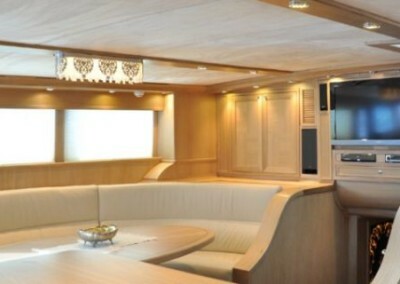 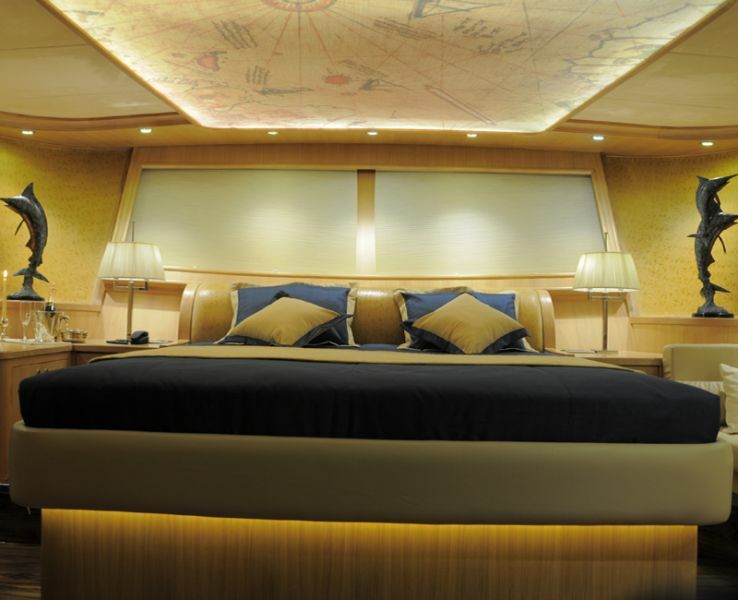 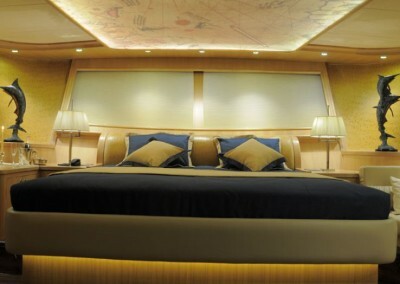 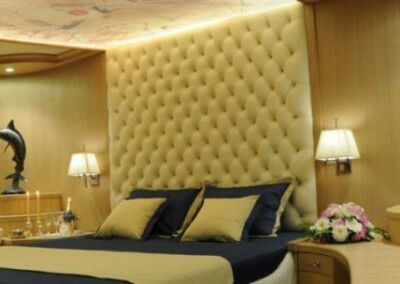 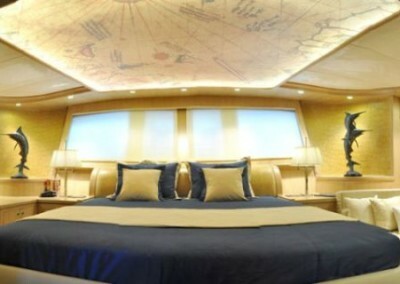 She designed for luxury private crewed yacht charters with modern and large cabins, saloon and deck. 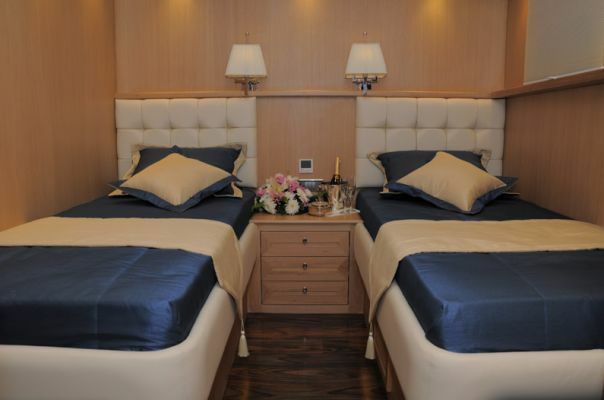 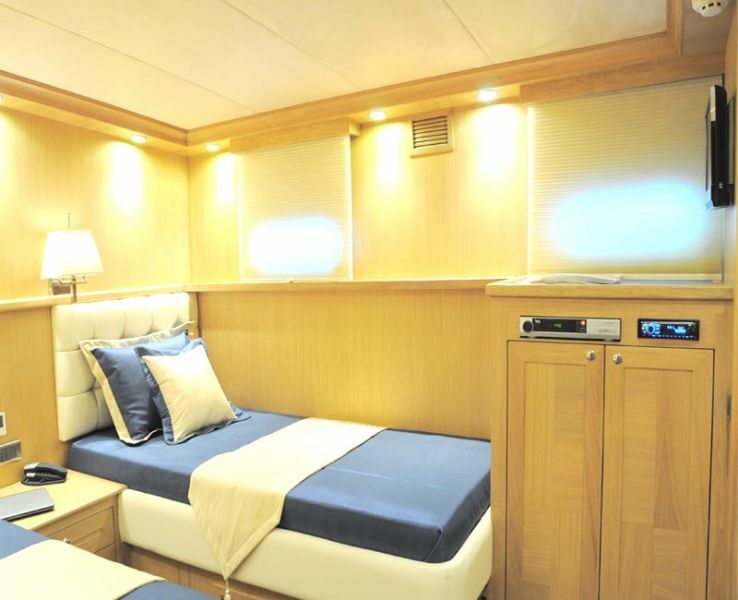 2 master cabin with french bed, 2 twin cabin with 2 single beds is offering spacious accommodation up to 8 people. 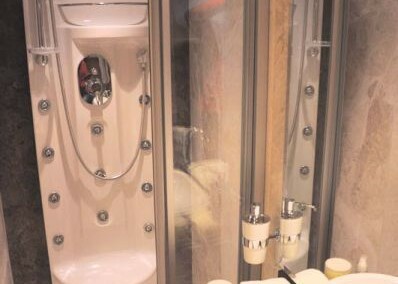 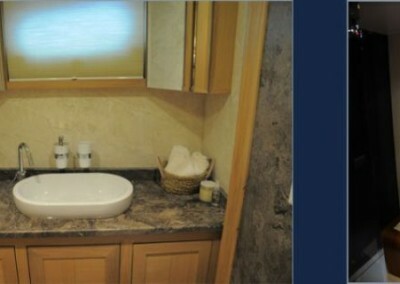 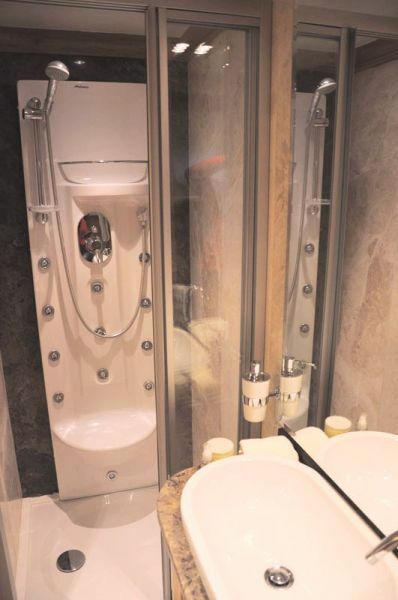 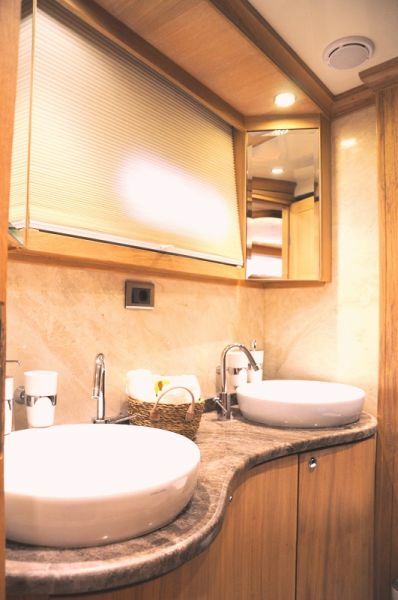 In each cabin, including seperately placed shower unit, it has its own private shower and toilet. 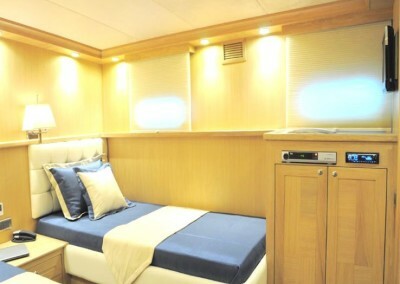 All the yacht, including the cabins are air-conditioned. 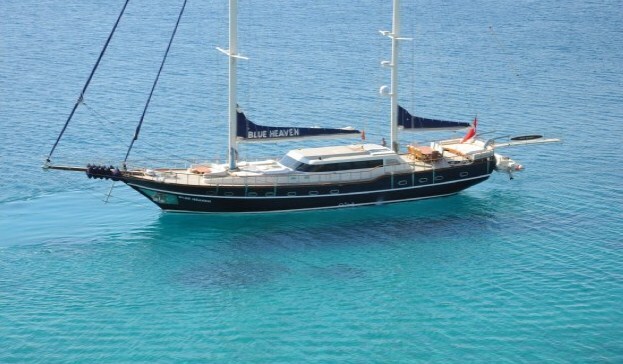 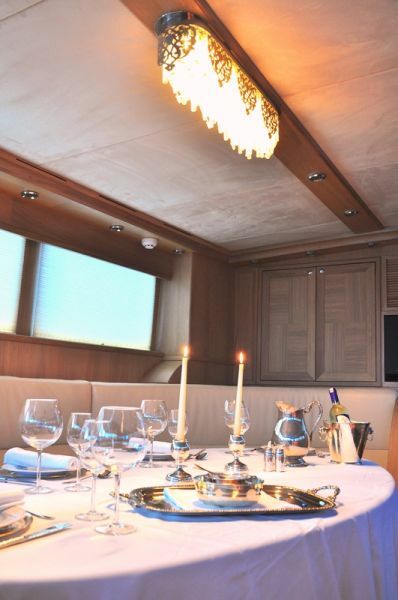 Gulet Blue Heaven’s interior is decorated tastefully to give a feeling of swimming in luxury. 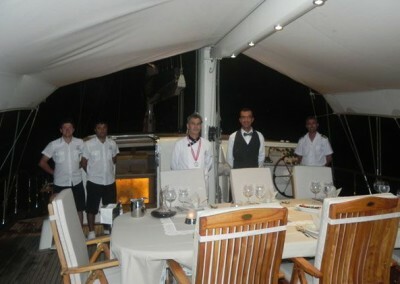 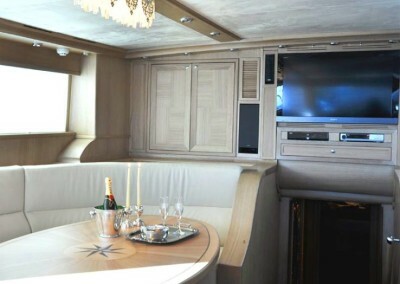 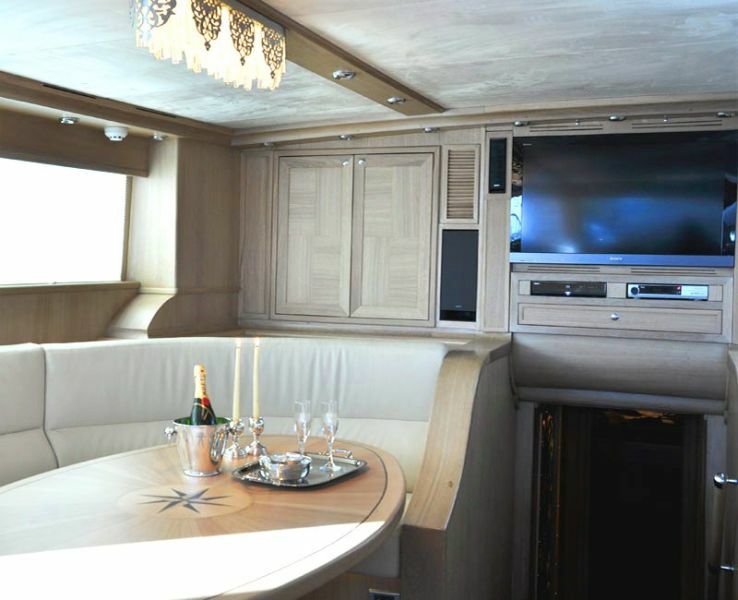 It has a dining table, a fully equipped separate kitchen and an open/closed dining room and an air-conditioned saloon. 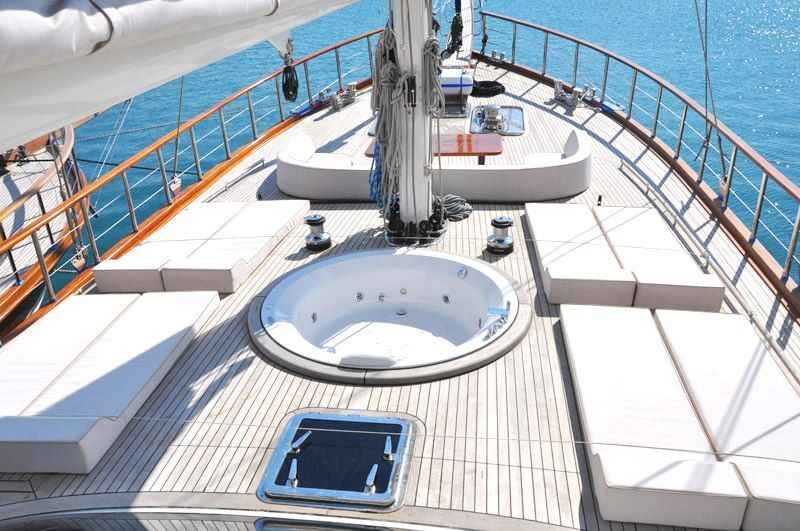 When you sail or reach the shore, the sun beds spread out on the deck will offer you an excellent opportunity to sunbathe and relax.